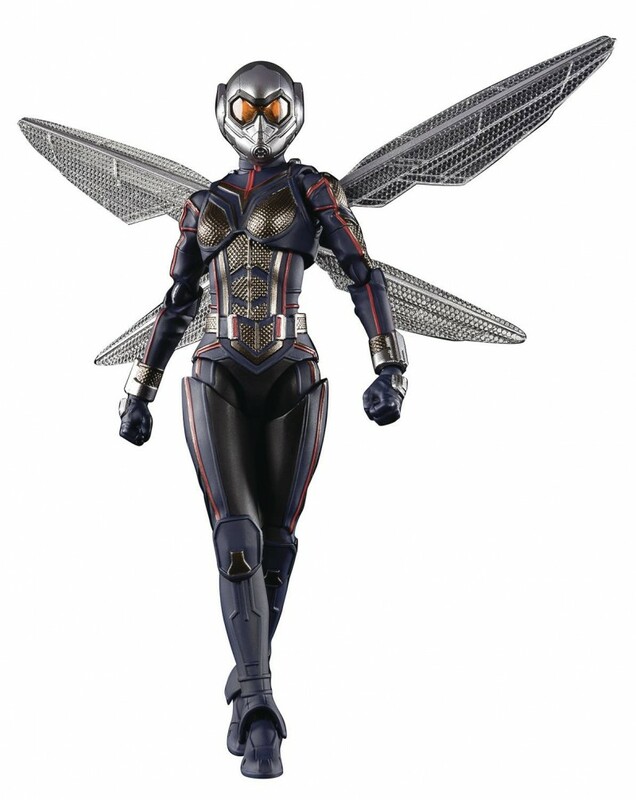 From the Marvel film, Ant-Man and the Wasp, comes Wasp to S.H. Figuarts! She is faithfully sculpted in exquisite detail and features incredible coloring and is designed for dynamic posing options. New sculpting accurately captures its asymmetrical styling, conveying all the charm of the on-screen character. A special Tamashii Stage is included in the set. Small figure parts are storable in the base. The head is partially molded in translucent plastic for realism. Display alongside with S.H.Figuarts Ant-Man sold separately to expand your play possibilities!